Marilyn and I had fried green (and red) tomatoes today. And zucchini, too. Yummy. And we watched a very good 2016 movie on cable, Mean Dreams," a Canadian coming-of-age film. (One of Bill Paxton's final movies prior to his death.) Sophie Melisse and Josh Wiggins were both wonderful. Marilyn and I really enjoyed it! We had been talking about going to a movie today (we really want to see "It"), but we didn't quite get around to that. But Mean Dreams was a wonderful alternative. And we (of course!!!) watched American Ninja Warrior tonight. I really love Tweeting to the various ninjas. It's really amazing how they will Like posts and how people re-Tweet things. I've even had some ninjas answer me. I think they're such a friendly group of people! Generally I don't Tweet that much, but I love it during ANW. Vacation is over. Back to work! We're still having heat here. But we're due for rain later this week. That will be a blessing for the wildfires. I had our ADDRESS written on the outside, because we used to have two bins at one point and did have one stolen many, many years ago. I can't recall the circumstances as it was so long ago. I've always been so supportive of the homeless. But it's different now than it was before. Portland has attracted many homeless from out of city (and state), and nobody knows how to control things. We have homeless people in RVs over at the park a few blocks away. I know I'm guessing, but these things were never stolen before this... People who live in RVS are not homeless. 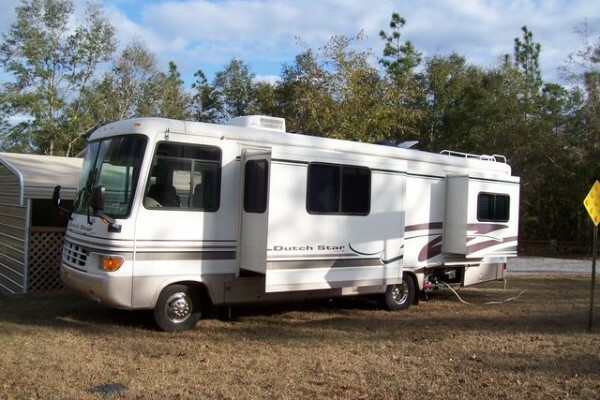 We were fulltime RVers for about 12 years. We traveled all over the US for many years and worked part of the time 2 summers at Yellowstone. We had husbands retirement from the US Navy which was very small so we always worked somehow. Full time RVing is a wonderful lifestyle and there are great people in that extensive community. I also know many of their RVs cost more than a medium range house, including mine. This is the last one we owned and it was small compared to the ones we lived in full time. It cost more than our lot we live on. I lived in Calif for 40 years and wildfires in the west can be brutal, but many are in scarcely inhabited areas and I don't remember ever losing power because of them. I also don't remember many threatening a major city. The devastation here has affected whole states (and countries) that have no power and made hundreds of thousands homeless and misplaced. Two totally different tragedys.